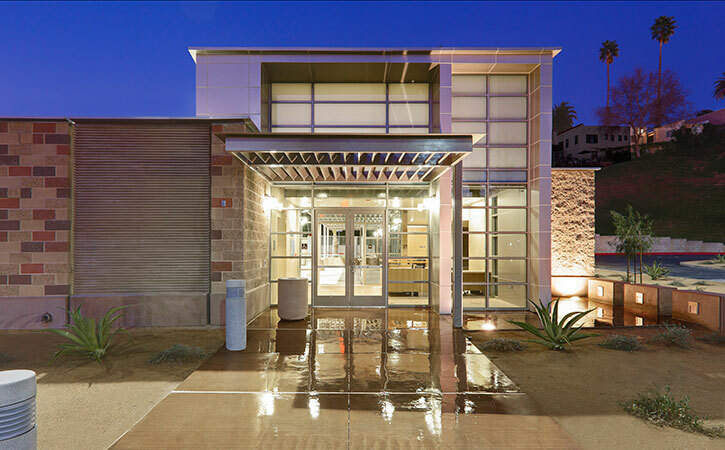 The Riverside Aquatics Complex is located on the northeast corner of the Riverside City College campus. Adjacent to the existing Cutter Pool facility, the new project includes a 65 meter by 25 yard competition pool, dive tower, and diving boards. Additionally, three buildings that total 6000 square feet, include the aquatics building with locker facilities for men and women, office and team rooms, a pool mechanical equipment building and pool equipment storage building that surround the pool. 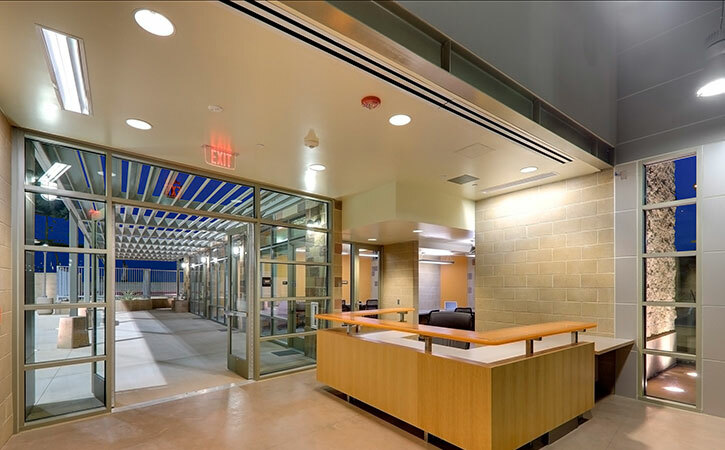 The arrangement of these major components on the site was developed in a workshop with the design team and major stakeholders including representatives from the College, as well as the City and County of Riverside. 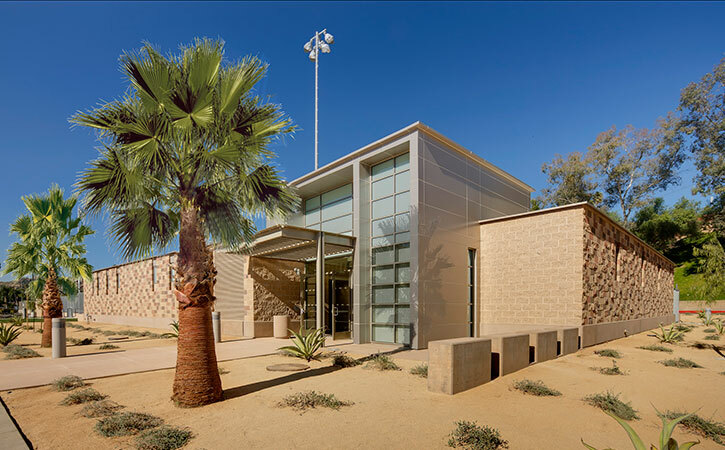 The buildings were constructed with very durable materials including patterned concrete masonry units, a concrete base, and aluminum sandwich panels. Much effort was taken to make the buildings energy efficient. The locker wing is ventilated and heated, whereas the office and team rooms are supplied with full heating and cooling capabilities. To keep energy costs down, operable windows allow for flow through ventilation. 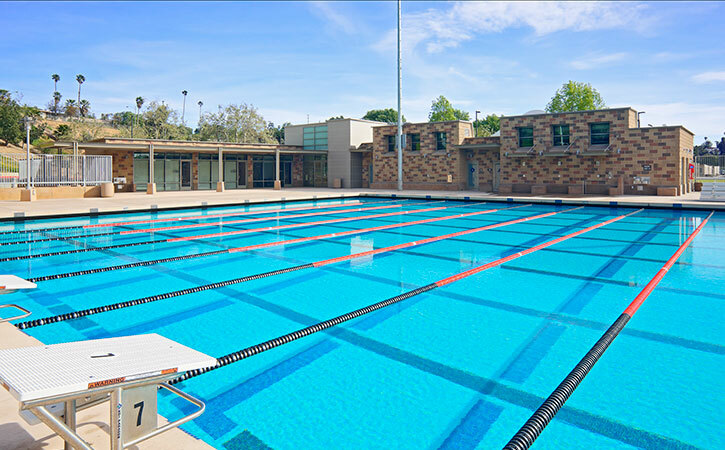 The state-of-art facility is one of Southern California’s largest Olympic-standard competitive pools. The pool can hold diving, swimming, water polo, and synchronized swimming events. It is also the Inland Empire’s only competitive training aquatic facility.